As part of the diagnosis, your ­pediatrician will look for other conditions that show the same types of ­symptoms as attention-deficit/hyperactivity disorder (ADHD). Your child may simply have a different condition or ADHD and another condition. Most children with a diagnosis of ADHD have at least one coexisting ­condition. Learning disabilities—Learning disabilities are conditions that make it ­difficult for a child to master specific skills such as reading or math. ADHD is not a learning disability. However, ADHD can make it hard for a child to do well in school. Diagnosing learning disabilities requires evaluations, such as IQ and academic achievement tests, and it requires ­educational interventions. Oppositional defiant disorder or conduct disorder—Up to 35% of ­children with ADHD also have oppositional defiant disorder or conduct disorder. Children with oppositional defiant disorder tend to lose their temper easily and annoy people on purpose, and they are defiant and hostile toward authority figures. Children with conduct disorder break rules, destroy property, get suspended or expelled from school, and violate the rights of other people. Children with coexisting conduct disorder are at much higher risk for getting into trouble with the law or having substance abuse problems than children who have only ADHD. Studies show that this type of coexisting condition is more common among children with the primarily hyperactive/impulsive and combination types of ADHD. Your pediatrician may recommend behavioral therapy for your child if she has this condition. Mood disorders/depression—About 18% of children with ADHD also have mood disorders such as depression or bipolar disorder (formerly called manic depression). There is frequently a family ­history of these types of disorders. 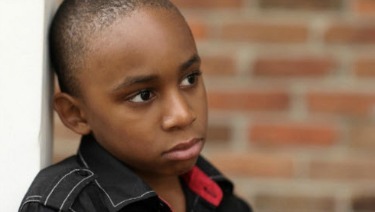 Coexisting mood dis­orders may put children at higher risk for suicide, especially during the teenage years. These disorders are more common among children with ­inattentive and combined types of ADHD. Children with mood disorders or depression often require additional inter­ventions or a different type of medication than those normally used to treat ADHD. Anxiety disorders—These affect about 25% of children with ADHD. Children with anxiety disorders have extreme feelings of fear, worry, or panic that make it difficult to function. These disorders can produce ­physical symptoms such as racing pulse, sweating, diarrhea, and nausea. Counseling and/or different medication may be needed to treat these coexisting conditions. Language disorders—Children with ADHD may have difficulty with how they use language. It is referred to as a pragmatic language disorder. It may not show up with standard tests of language. A speech and language clinician can detect it by observing how a child uses language in her day-to-day activities. The following is a list of support groups and additional resources for further information about ADHD. Check with your pediatrician for resources in your community.